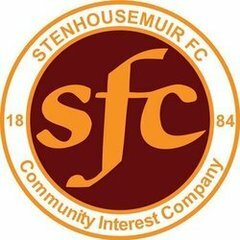 This thread is designed as the definitive place to read up on all of Stenhousemuir's transfer activity and developments over the next few months. Every other team has their own close-season topic, and the Warriors should be no different. Plenty to get to grips with in there, anyway. Of the players out of contract, I think it's important we keep Alan Lithgow, Ross Meechan and Greg Fleming. I think there might be a player somewhere in Jamie McCormack and reckon he might just do us a turn. The rest can go. I'd feel a little sorry for Josh Watt as he tries his best but he's just too damn frustrating but the rest have let us down or haven't been good enough. We can't be expected to duke it out at the bottom of the division with laconic jobbers like Tony Marenghi in the side. As I said on another thread, this year will be a struggle but at least we're mentally prepared for it. At this stage I'd reckon we'll finish in the lower reaches of the table, if not bottom. I'm hoping to be a little more positive come August. How was Pedro Moutinho when he signed? Good move or waste of cash? He offered nothing, but I can't imagine he was very paid much (if at all). I think he missed the game against Brechin City because he attended Falkirk's Scottish Cup semi-final against Hibernian. I don't think he'll be kept on next term, certainly not in a playing capacity. He was popular with a small group of younger supporters though. They brought a Portugal flag to a couple of the games. Lower league football in Scotland, eh? There's our No. 1 for next season sorted. I'd be disappointed to see Fleming leave but on the flip side I'd have no objections to Dean Shaw getting a chance. Whenever he has had to play he hasn't made a mistake or cost us goals. And given the budget cuts he wouldn't be a bad choice. Why did Chris Smith not really feature for you this season? He joined the police near the end of the 2013-14 season and due to that wasn't fully committed. Since his shifts have levelled out just after the new year he has been unable to get a game ahead of Fleming. Slightly unfair to not mention the massive bloody crash he had on his bike! It was a helluva wound. Aye, some auld dear drove into him when he was cycling and gave him a belter of a knee problem. Just got a text to say we are almost over the line in securing defender Mark Baxter from Forfar. Would be a tidy signing, especially if we can get Lithgow signed up too! An actual decent right back I have set my expectations so low this would be a pleasant surprise. I'd be happy to get Mark Baxter in, I've always thought he's a solid (if unspectacular) presence at right-back. I also have a feeling we'll sign Stuart Malcolm from Forfar Athletic. Don't ask me why, I just do. Think Malcolm lives pretty local, possibly Kinnaird/The Inches. Match made in heaven. Would be disappointing to lose Baxter, although he has been quite injury prone this season. Stenny supposedly talking to Jon Robertson. Not the player he was but still gives 100% every game.